From the cover art of Dark Horse Comics' Aliens: Theory of Propagation / The Alien! 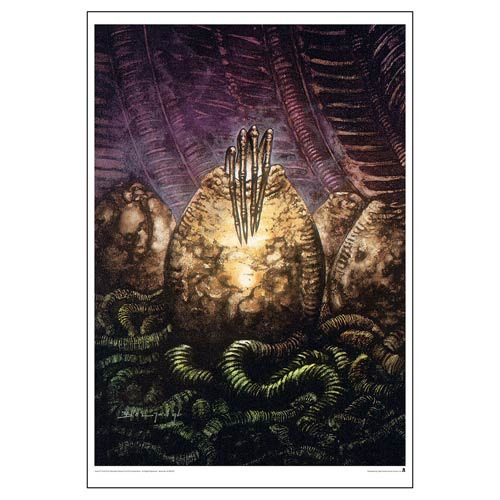 This Aliens Theory of Propagation by John Bolton Paper Giclee Art Print shows a foreboding image of an Alien egg with an Alien Xenomorph hand lain ominously atop. A limited edition of just 95 hand-numbered pieces, this stunning giclee has been printed on paper measuring 19-inches tall x 13-inches wide, and even comes with a certificate of authenticity!